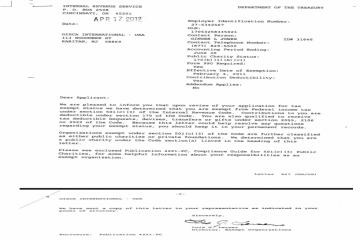 The government of America recognized OISCA USA Chapter as a charitable institution after the approval of the application for tax exempt status filed by OISCA USA spearheaded by President Prospero Tayco in August 2011. 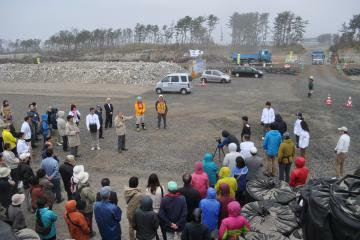 On the 28th of April, OISCA organized series of activities attended by 151 participants from the different sectors of society including government officials of Miyagi Prefecture, representatives of funding agencies/companies from Tokyo and locals of Natori City. 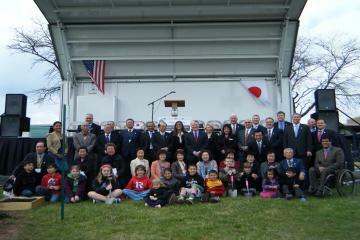 OISCA USA Chapter launched the first CFP School in John F. Kennedy Primary School in Raritan, New Jersey on the 10th of April and at the same time celebrating the 100 years anniversary after Japan introduced the first cherry blossom trees in America.